These filtering funnels are made of Pyrex® borosilicate glass. Funnels feature a beaded edge for strength. 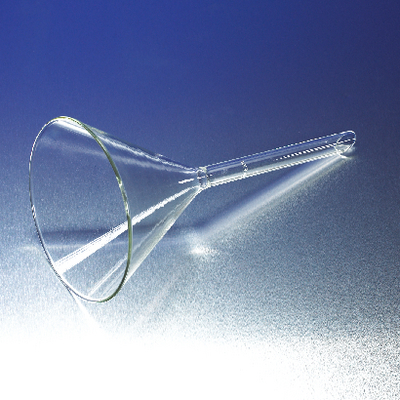 Fluted funnels feature pressed inside flutings to further decrease filtering time.